In my first/second grade classroom, I have been using the Portland Public Schools writing curriculum for the past two years. I have found it to be really effective! The lessons are thorough and cover writing strategies and grammar concepts in a developmentally appropriate way. At the end of each unit of writing, we have a celebration where I type up their stories and we share them with partners, Author Groups, or whole-group. This has become a really exciting and important day in my students' writing lives. But it has been a struggle for me! I have always wanted to type their stories into books, but I never knew an easy way to do it. I would type them on Word, trying to make mini-books and just guessing where the middle of the sheet of paper was. Today, though, I found an easy way - and I want to share it with you in case you do this, too! First, go to File and Page Setup. You should get to a screen that looks like this. 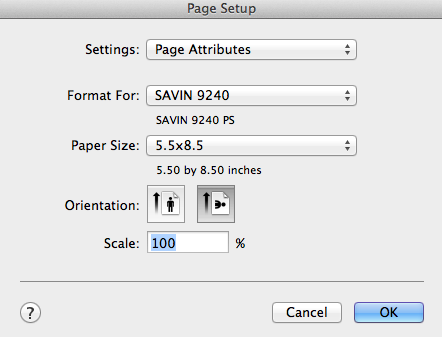 Choose 5.5x8.5 for your paper size and landscape for your orientation. This will give you a perfect half sheet to type your stories on! Then type, type, type away. 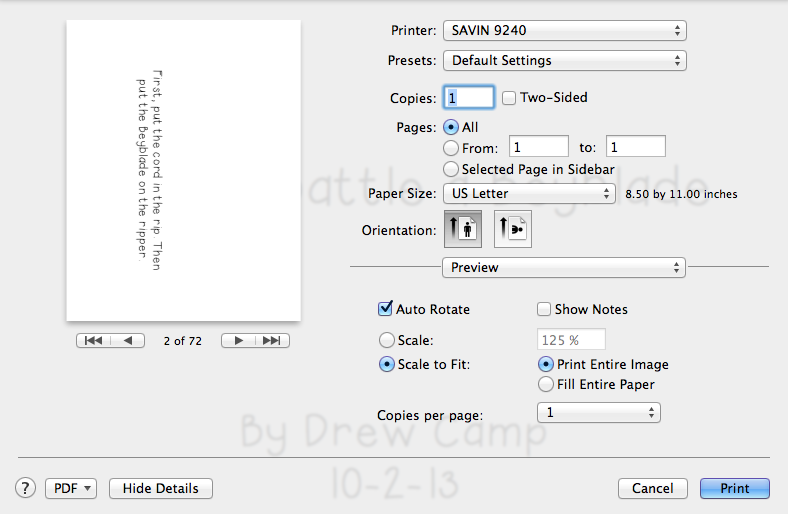 Save your stories as a PDF and open the PDF in Preview. Go to print them. 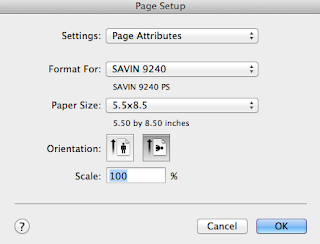 Where it says "Preview", change it to "Layout" and then choose 2 pages per sheet. 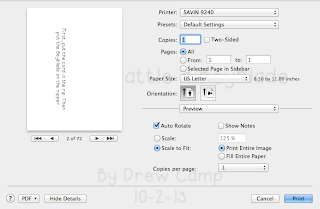 Print the stories and cut them on your school paper cutter at the 5.5" mark. Staple them and make an adorable little book! Wow, thank you so much for this. I am computer saavy, but had never thought this one through. What an easy way to do it.